Straight-laced Bryan (JAKE THOMAS) agrees to drive his parents’ luxury RV to Cabo over Christmas break, so they can fly down and drive back one way. Misadventures ensue when Bryan’s wild friend, Todd (CHRIS BROCHU), talks Bryan into bringing him along with two girls, Jessica (MICHELLE DESHON) and Lisa (ARIENNE MANDI). Each has their own agenda – Todd wants to make a big score; Jessica wants to make an “extraordinary” film; Lisa wants to look up her father; and Bryan seeks sexual experience. The trouble starts when Todd makes a deal with a Mexican gangster, Jorge (ANDRES LONDON), to transport some contraband cell phones, which are then stolen by Jorge’s rivals. The group takes refuge in a remote decaying resort, La Perla, which Lisa has inherited. When the RV is taken, the group comes up with a plan for Lisa to impersonate deceased Tex-Mex singing sensation, Lorena De Los Rios, for whom she is a dead ringer. Will the plan raise the money needed to save La Perla, rescue the RV, and fulfill their youthful agendas? The resolution is both surprising and magical. 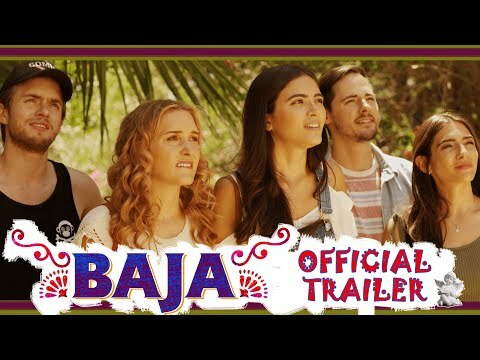 Baja was released on Cinema 373d ago in the US. Notify me when Baja is available.